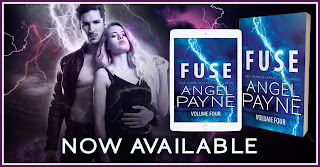 FUSE: BOLT SAGA VOLUME 4 BY ANGEL PAYNE ➤ TOUR + REVIEW | The Biblioholic ~ Read more. Sleep less. The storm is here. Will it rip apart their fated fusion? Now that Reece Richards and Emmalina Crist have exposed the Consortium to the globe, they’re bracing for the organization’s full reprisal, undoubtedly led by Faline Garand. The woman, infamously obsessed with Reece, can’t be happy about the lovers’ worldwide announcement. With her man lost in a fathomless darkness, Emma can no longer stand on the sidelines. Pushing past her fears, she takes the fight straight to Faline’s turf―but the risk is huge, and so are the consequences. There’s no turning back. The storm has broken, and the landscape of Reece and Emma’s relationship will be forever transformed. 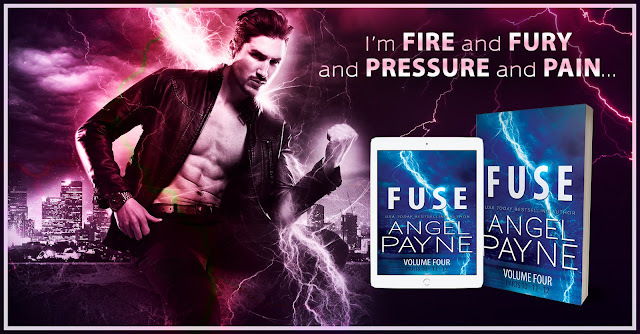 Can they fuse once more, coming together in love to survive the blast? It's a great time to start the series if you haven't already!